Cambodian Temple Dancer…or Alaskan Chicken Farmer? A little of both, perhaps. Jenny first came to Alaska in the summer of 2004. She had two main goals: to escape NYC where she was temporarily teaching and studying; and to follow in the footsteps of her deceased father who spent extensive summers goldpanning in the Alaska Bush. 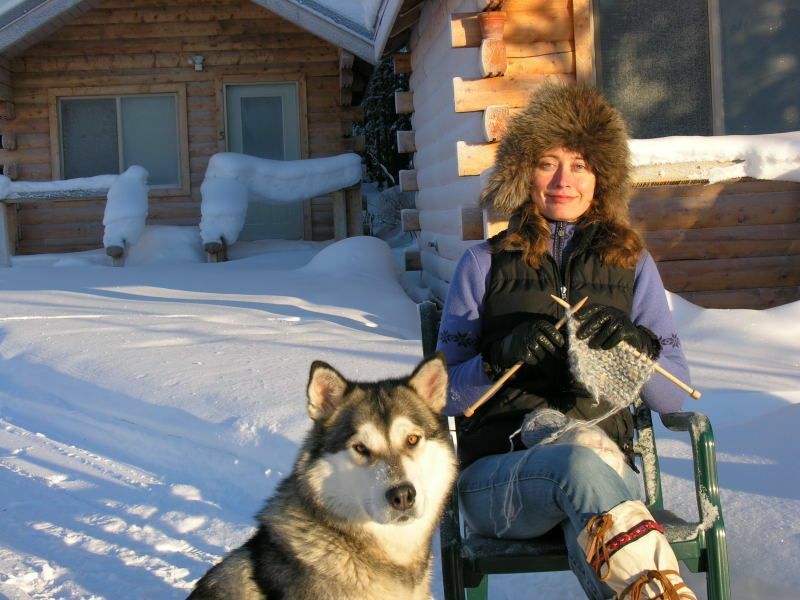 She achieved these goals and more – she fell in love: with Audie, with Alaska, and with the remote lifestyle on the Denali Highway. With an undergraduate degree in Latin American Studies and looking forward to a career in the field of international education upon completing her graduate degree from NYU, Jenny did not expect her first summer here to turn into a permanent move. But loving the remoteness and the homesteading lifesyle (she’s a farmer’s daughter and descendent of many generations of inspiring farm wives), the change from teacher to hostess and chicken farmer was a natural one. Guests in these cabins need some warm blankets! Jenny mostly grew up in the cowboy, dude ranch town of Wickenburg in the rural desert of Arizona, where she rockhounded, goldpanned, hiked, rode horses, and studied classical piano. She also spent every summer growing up on her father’s successful third-generation farm in southern Minnesota. She has spent extensive time living in Mexico (including a stint attempting to write a novel in a beachside apartment) and in Bogota, Colombia during some of the most violent, guerrilla warfare years. Jenny has worked as a: barbed-wire fence builder; raspberry picker; dishwasher; pianist in chamber orchestra; housekeeper; model for art class; opera house ticket seller; ESL teacher for Colombian bank executives, Central American immigrants and Sudanese “Lost Boys”; elementary school teacher in Arizona and Manhattan; carnival toy maker; jeweler; Editor/Founder of a cowboy poetry quarterly; travel writer. 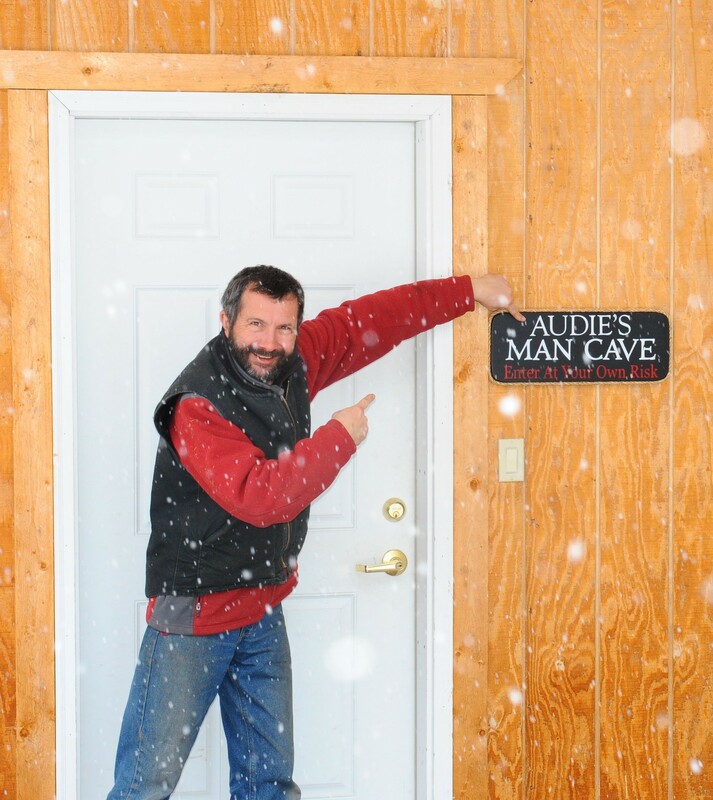 Audie first came to Alaska in the mid-1990s after earlier careers as an exploration geologist, laboratory geochemist, global equity fund manager and world-wide rover. Languages came as easy to him as wandering the mountains and forests of his New England roots, and Denali Highway Cabins’ foreign guests are as bemused as he amused when he greets them in Japanese, Portuguese, Dutch or a smattering of other tongues. He explored Alaska as far west as Attu, north to the Yukon, south and east along the panhandle, but found the remoteness and beauty of the high tundra along the Denali Highway suited him the best. 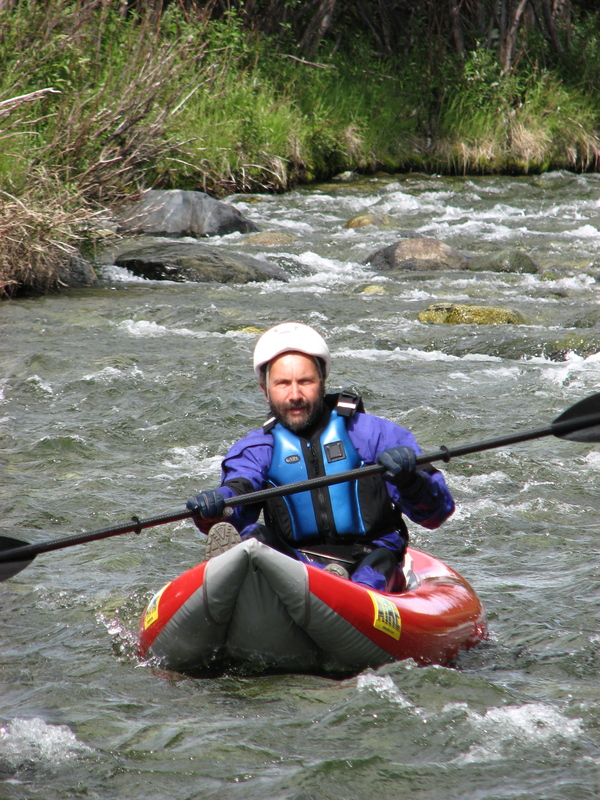 After a stint as resident naturalist…and dishwasher…at one of the Highway’s lodges, he set himself up along the banks of the Gulkana. and its avian denizens justice. That exposure propelled the nascent Denali Highway Cabins & Tours along its way to stability in the famously fickle tourist industry. The business really got its boost, however, in 2004 when the notorious bachelor was overcome by the blue-eyed beauty reliving her father’s own odysseys. Careful readers of this site’s entries can learn more of how Audie and Jenny got together.